There are a lot of things happening in my life that are outside of my control and I need this verse as a reminder that I need to let go of control and trust God. The phrase “be still and know that I am God” is pretty popular. It shows up on social media a bunch as well as on a lot of coffee mugs. The two words “be still” always soothe my heart. God always seems to know when I’m emotionally swinging like a trapeze artist around from worry to faith and back again. The words “be still” are a command to stop the madness that can bounce around in my mind more often than I’d like to admit. Don’t you feel like taking a deep breathe right now? Seriously, we probably need to all be still in this moment because there is something in our lives that is making us feel exactly the opposite of being still. Yet, be still doesn’t mean that we sit around and do nothing. Be still is an attitude, but it should not keep you from taking action. If you find a lump in your breast, be still doesn’t mean that you sit at home on your bed and hope that it goes away. Be still means that you make the doctor’s appointment ASAP, but that you give your anxiety and worries to God because He cares about you (1 Peter 5:7). I did some looking around about when this Psalm might have been written. One commentator* proposed that this may have been written when Jerusalem was threatened by the Assyrians (Isaiah 37:36). Perhaps that is why the later phrases of the verse are so packed with meaning. Those two sentences feel mighty prophetic in our world today, especially in our country, where it feels like our culture cares nothing about God. In these two lines, God declares that He will be recognized as God by the nations that reject Him and that lands all over the world will recognize God’s fame. So, if you’ve ever felt like you’ve had to hop on social media and defend God, you actually don’t. God can take care of making sure that His Glory will be known throughout the world – you don’t have to get into a fight with trolls online trying to help God out. 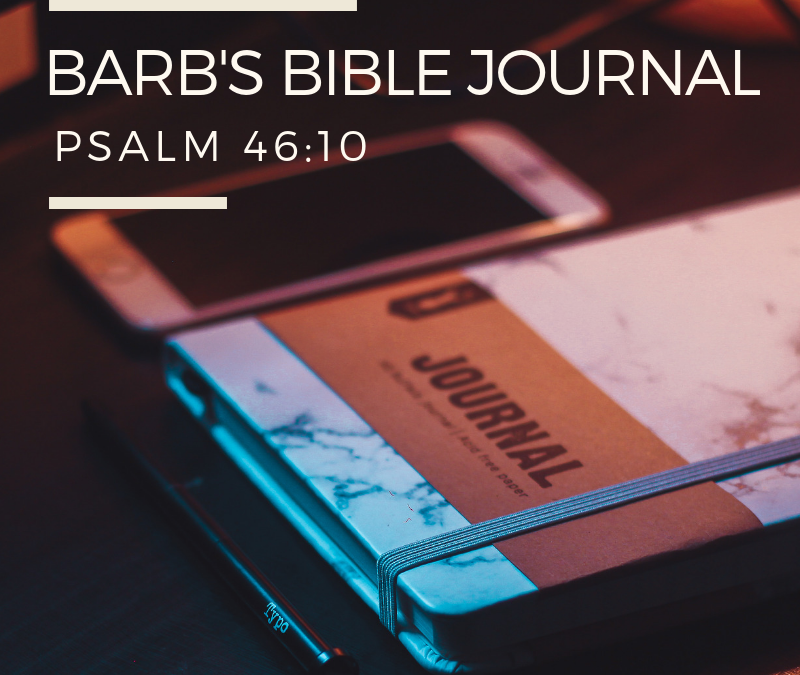 What’s my takeaway from Psalm 46:10 – I don’t have to be anxious when I remember that a powerful God is taking action on my behalf.